In today’s application-driven world, your competitive edge increasingly relies on your ability to continually deliver high-quality software to end users. That’s a key value enabled by DevOps. Through its ability to bring together application delivery and IT operations, DevOps gives your business the agility it needs to compete successfully in the era of the app. To stay competitive, your business needs to accelerate the delivery of new software features and functionality. DevOps helps your organization to bring together the key stakeholders (business, apps, and ops) by focusing on collaboration, automation, and monitoring, resulting in improved application release velocity with quality. 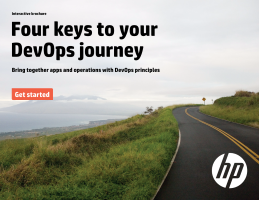 Identify the DevOps maturity of your core development and IT operations processes. Determine standards and automation for continuous everything. Establish measures and metrics for successful DevOps.